The LVTGG Training Committee is pleased to announce that the next Certified Professional Las Vegas Tour Guide (CPTG) Training Class will begin Sunday January 14, 2018 – and is open for registration now! 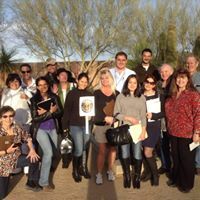 In addition to providing a proven method for tour guides to train and be tested in accurate Las Vegas knowledge and guiding skills, benefits include a low class fee and a flexible schedule designed to work with our members’ busy lives. The class is open only to members of the guild (new members or renewing members). Note that in order to accommodate members attending the ITMI Symposium, the previously announced start date of January 7 has been changed to January 14. Register today and receive a $25 discount off the regular class fee ($50 instead of $75)!